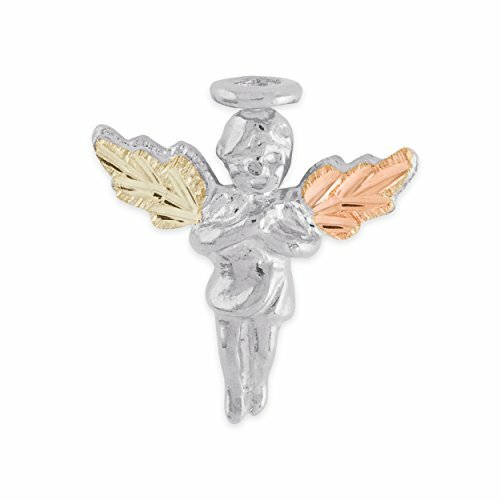 Keep a guardian angel with you all the time with this sterling silver pin with wings of 12k Black Hills Gold. 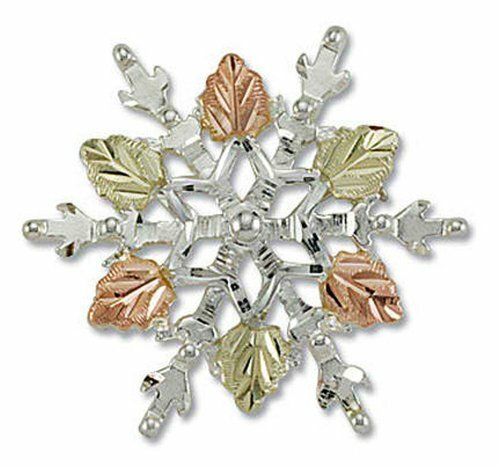 Spectacular sterling silver snowflake brooch pin with 12 karat Black Hills Gold leaves. A perfect gift for the Holidays! 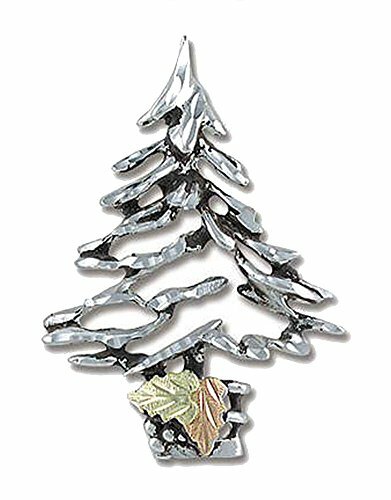 This festive sterling silver Christmas Tree brooch pin with 12 karat Black Hills Gold leaves will get you in the mood for the Holidays! Gold Mother's Heart Brooch with 1 to 12 Round Brilliant Cut 2.0mm Synthetic stones. 12k rose-gold and 12k green-gold leaves on 10k Gold Heart base. 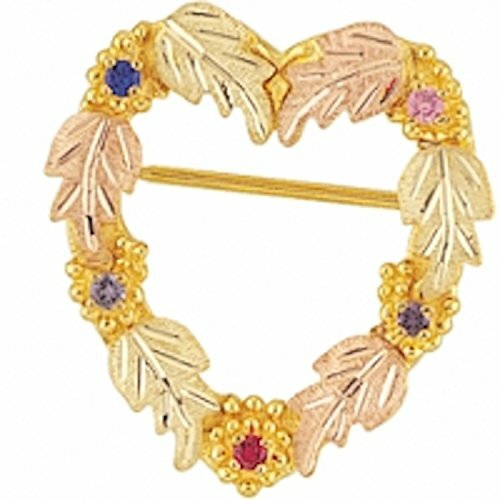 Heart Brooch has gold plated nickel silver pin stem, hinge and clasp. This Heart Pin measures approximately 1" by 1" inch. Ships in 5 days Black Hills Gold Jewelry becomes brighter and prettier the more it is worn. Clean with soft brush and mild soap only. Price is for blank Family Jewelry. Please see special order instruction for stone pricing and placement on add to cart page. This item is personalized and non-refundable and non-returnable. 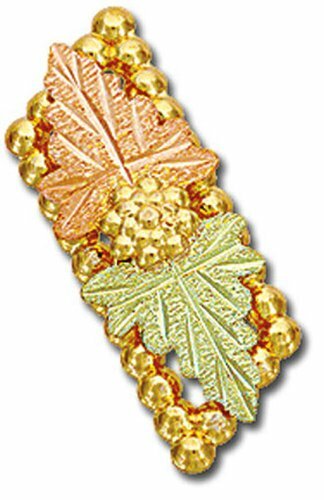 Landstrom's 10 karat Black Hills Gold grape clusters and vines with center flower surrounded by 12 karat Black Hills Gold leaves. A dazzling array of 12 karat Black Hills Gold leaves with 10 karat Black Hills Gold grape clusters and vines. 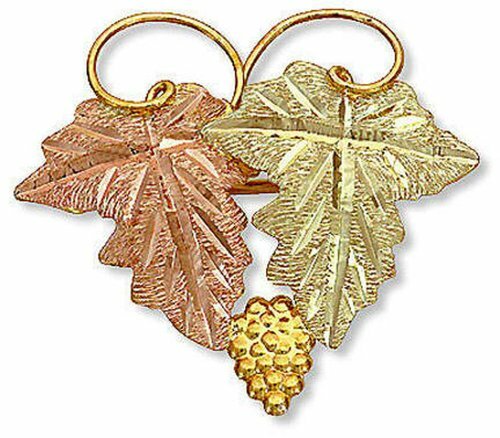 Landstrom's Classic 12 karat Black Hills Gold leaves surrounded by 10 karat Black Hills Gold grape cluster and vines. 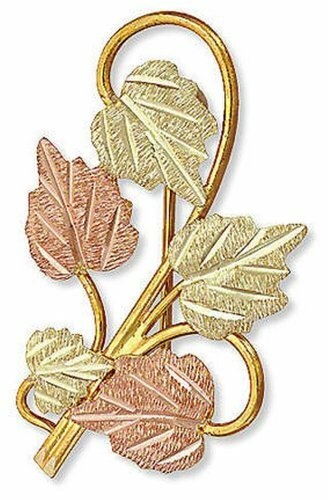 Simple elegance with 12 karat Black Hills Gold leaves and 10 karat Black Hills Gold vines. 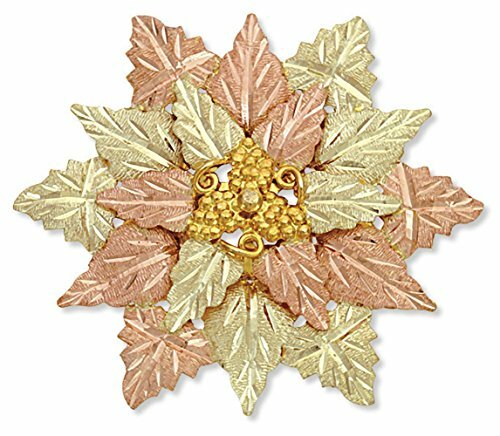 Elegant Black Hills Gold Brooch made of 10k Gold featuring 10K Gold Grapes and 12K Gold pink and green leaves. 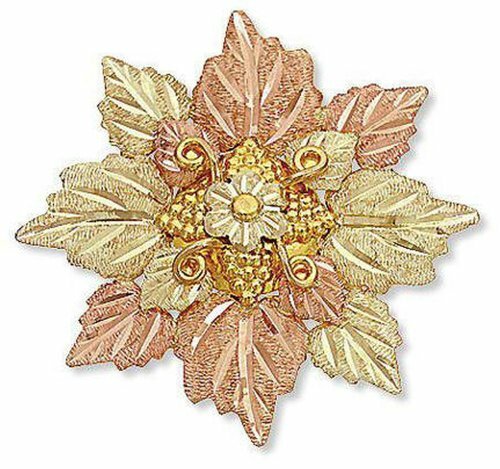 This beautiful brooch can also be used as a pendant. Landstroms Original Black Hills Gold Jewelry is manufactured in the Black Hills of South Dakota. Each item comes with a certificate of authenticity and manufacturer's lifetime warranty against defects in materials and workmanship.